During the pre-election budget last week, Chancellor of the Exchequer, George Osborne MP announced some significant changes that could have a detrimental impact on landlords the UK’s private rental sector (PRS) and residential property owners. £13 Billion (GBP) sale announced of the mortgages of UKAR – Northern Rock and Bradford and Bingley (Mortgage Express) to reduce national debt which followed the bailing out of the banks. Introduction of 20 new housing zones. The economy of the North grew faster than the South during 2014. The UK has the highest rate of employment in its history! Employment is growing fastest in the North West, Yorkshire having the biggest employment. Living standards are higher in 2015 than 2010. Inflation forecast downgraded to 0.2%. Low interest rates to be “locked in”. Original target of debt reduction set in 2010 budget has been met. 13 years of rising national debt has now been stopped. UK achieved the largest and most sustained debt reduction of any major economy according to the IMF. The wealthy are making the biggest contributions to reduce debt. End of austerity in 2019. The annual tax return is to be abolished. New digital tax accounts to be created. The personal tax free allowance has been raised to £10,600 (GBP) and will be raised to £11,000 (GBP) in 2017. The higher rate tax threshold will rise to £43,300 (GBP) by 2018. Class 2 national insurance contributions abolished for self-employed. Stronger measures against tax avoidance and tax evasion. Review of avoidance of inheritance tax through deeds of variation. New penalties for tax evasion and those professionals who assist them. Could The General Election Spoil The Private Rental Sector? With The UK’s next General Election less than 80 days away it is feared by some economists that many UK private rental sector (PRS) landlords will choose not to expand rental property portfolios this year. Fluctuations in regional property prices and housing legislation changes have already hit the UK property market, and now the electioneering hype being spouted by MP’s from all political parties is doing very little to encourage landlords to increase their rental property portfolios. Already there is a great deal of talk and speculation about the possible introduction of rent controls and the threat of increased taxes for landlords as the current Government and opposition MP’s attempt to leverage the strength of the UK’s buy to let property market. Landlords Warned To Get Ready For Universal Credit Chaos! Department of Work and Pensions (DWP) Secretary, Iain Duncan Smith surprised commentators with an announcement that Universal Credit (UC) will be rolled out to all Jobcentres and local authorities in the UK by February 2015 following the apparent success of the pilot scheme that was originally trialled in the North West. Many Universal Credit detractors predicted that nothing significant would happen, before next year’s General Election, however, Iain Duncan Smith stunned everyone by announcing that Universal Credit will be rolled out to all Jobcentres and local authorities across the country, starting February 2015. UK and Continental banks are to be stress tested using a worst case scenario in an effort to assess if they could cope with a house price slump of 35% or a sudden spike in interest rates to more than 5%, the exercise will be monitored by the Bank of England. Sky News broke the story on Monday ahead of an official announcement on Tuesday by the Prudential Regulation Authority (PRA), after learning that banks would be subjected to an armageddon style scenario to see if they have sufficient capital to withstand another economic slump. A series of commercial real estate losses is expected to be applied to the banks’ balance sheets as part of the tests, but it’s not certain whether or not the interest rate hike will be quantified as part of the tests, but the 35% slump in property prices could reveal if banks and building societies would need to raise billions of pounds of fresh capital to survive, unless they can demonstrate their ability to withstand such a huge slump. As far as luxury tourist destinations go, the Caribbean is up there with the best of them. Much of the Caribbean’s thriving economy stems directly from the tourism industry, and it’s no wonder why. With demand high for tourist property, and jobs aplenty, the future looks bright in this part of the world. These stunning islands are also a popular hotspot for the wealthy to live or to have second homes. Consequently, the Caribbean provides an exciting opportunity for property investors, with wealthy locations such as the Bahamas providing a particular source of interest. The opportunities for property investment in the Caribbean are many and varied. The most popular properties are those which cater for tourists, being that this is the most common widely sought after type of property. With a booming tourist industry, the decision to invest in tourist properties has proven to be a profitable and wise choice for many investors, and continues to bring excellent returns. Tourist property developments are continuing to appear, bringing an increasing stream of investment opportunities in this sector. Alongside tourist properties such as hotels and holiday homes, commercial properties for sale in the Caribbean are also a sound investment choice in places with high volumes of tourists. Where people travel, they spend money in bars, restaurants and nightlife, so this can be an alternative way for investors to tap into the profitable potential of the Caribbean islands. Alongside tourist properties, residential investment opportunities are also available, with strong economies meaning that people are able to buy or rent housing in pretty large quantities, which in turn means that demand is always there for such properties. Luxury residential properties are another veritable goldmine, with many wealthy people seeing the Caribbean as a great place to live or to have a second home. Because of its stunning scenery and beautiful climate, the Caribbean is an attractive place to live for some, if not all, of the year. 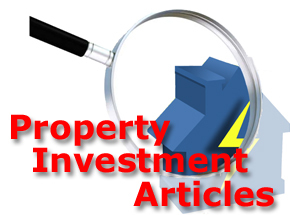 Overseas property investment can therefore also be a very profitable decision. It is perhaps best to focus attention on the islands with the strongest economies, such as the Bahamas. These are very popular with tourists and can lead to many profitable opportunities in terms of tourist accommodation, residential property and commercial buildings. Whilst the Caribbean offers some excellent opportunities for investment, it is worth remembering that laws, customs and values can differ widely between each of the different islands. Best practice would perhaps be to ensure that you acknowledge the local customs by enlisting the help of a local expert to assist in any purchases or dealings. There could be more good news for UK property investors over the coming months as projections for the rest of 2014 indicate that property prices are set to rise even more, providing the potential of greater Return On Investments (ROI). Since the UK housing market crash in 2008, UK property prices slumped and were depressed for some time afterwards due to uncertainty in the economy, however, the end of 2013 saw the UK property market spring back to life. According to data from the Halifax House Price Index (HPI), there were over 1 Million residential property transactions in 2013 for the first time since 2007, and residential property sales increased for the ninth month in a row in December 2013, 30% higher than in 2012. The data from Halifax is great news for property owners and shows that the UK property market is well and truly back on its feet. So, if you’re a property investor who is planning on investing in property in 2014, you can expect to see property prices continuing to rise. 2014 started with residential property prices on the increase and more people buying and selling. The introduction of the 2nd phase of the Government’s Help-To-Buy scheme in October 2013 allowed property purchasers to get 95% Loan-To-Value (LTV) mortgages, heralding the return of the first-time buyer to the UK property market. The recent changes in the dynamics of the UK property market are forcing a number of mortgage lenders and property investment specialists to advise clients how they can better protect themselves. The Governor of the Bank of England, Mark Carney, has claimed that the BoE has no immediate plans to increase the base interest rate, currently remaining at the 0.5% record low, however this situation could change within the next twelve months. The UK property market remains in a fairly delicate state and affordable residential properties are being bought with amazing speed, as the UK economy continues to improve but property prices are predicted to rise considerably over the next few months. Increasing property prices are not just a phenomenon belonging to London and the South-East of England, as new data from Nationwide shows that all UK regions are now enjoying increasing property prices as the property boom continues to gather pace. Every region across the UK saw property prices increase year-on-year, ranging from a 14.9% annual increase in London to a 1.9% uplift in the North. Nationwide reported that property values increased by an average of 8.4% across the whole of the UK in 2013, as the market revival became increasingly broad-based, but Manchester emerged as the property boom city, with property prices up by 21% over the last year, to reach an average value of £209,627 (GBP). According to the accountancy group – UHY Hacker Young, the number of foreign property investors owning UK property has now exceeded 2 million. The accountancy group analysed HMRC data and discovered that the number of overseas property investors owning and renting out property in the UK private rented sector increased by 6% in the past 12 months to 2.04 Million, up from 1.93 Million in 2012. 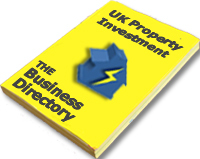 In the past five years the number of foreign property investors owning UK PRS property has risen by 39%. However, the accountancy group says that the consistent growth in the number of foreign investors targeting UK property may come to a halt following the Government’s recently announced plans to charge Capital Gains Tax (CGT) on the sale of properties owned by foreign investors from April 2015. A move which could discourage foreign buyers from investing in UK property when the deadline comes in to force.